Our staff has been in the Promotional business for the past 14 years. Our main goal is to assist you in bringing your name and/or "cause" in front of the public's awareness. Our clients have been. . .
From Imprinting your name/logo onto promotional products-Screen Printing your logo/brand/"cause" onto t-shirts, bags, vests, etc. - Embroidering onto shirts, bags, etc. 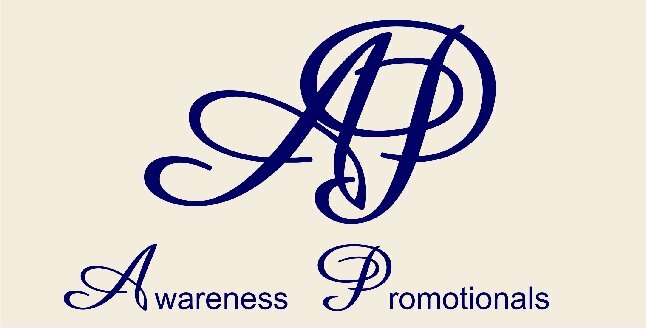 - To creating your own Custom Handmade In-house Awareness Ribbon Pin, Button, Key chain, Awareness/School Bracelets. Please call us at 630-551-6420 or email us at www.sales@awarenesspromotionals.com for all your promotional - embroidery - screen printing needs. Our uniquely screen printed Awareness Ribbon Pins have been seen. . .